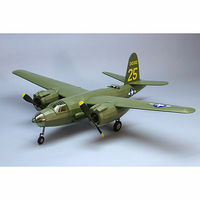 This is a rubber band powered model of the B-26 Marauder from Dumas Aircraft. 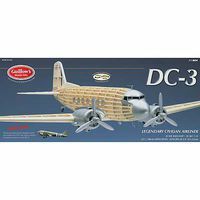 This is a Balsa and Plastic 1/32 Scale Model Build 'n Show Douglas DC-3 Display Model Kit from Guillow's. It's for advanced adult collectors and is designed for display only. 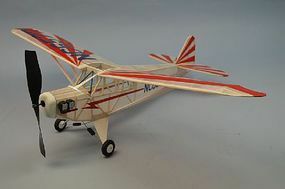 This is the 30" Piper "Clip Wing" Cub Rubber Powered Airplane Kit from Dumas. This is a Walnut scale, Rubber-Powered, MIG-17 Airplane Model from Dumas. For Beginners Learning How to Build & Fly or the Advanced Modeler. This is a rubber band powered model of the Hughes 1B Racer from Dumas Aircraft. This is the radio controlled, electric powered Dumas Aeronca C-3 Park Flyer Kit. 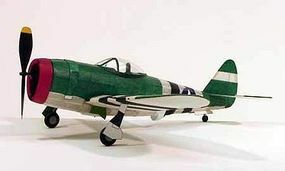 This is the Dehavilland Chipmunk 30" Rubber Powered Airplane Kit from Dumas. This is the Staggerwing Rubber Powered Airplane Kit from Dumas. This is the Fokker Eindecker EIII Rubber Powered Airplane Kit from Dumas. Build a Scale Rubber Powered Junkers JU 87-B Stuka German WWII Dive Bomber with this Balsa Construction Kit from Guillow's. Scale Model Suitable for Ages 10 and Older.